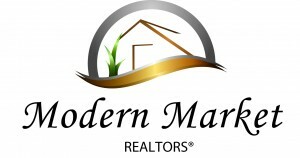 REMEMBER… As a buyer, your realtor fees are paid by the seller when you purchase a home listed for sale anywhere in the entire Fargo Moorhead Area Multiple Listing Service. So, have the professionals do the work for you! ONLINE HOME SEARCHING…Don’t try to tackle all the hours of searching yourself, the multiple home search sites online are helpful but not completely accurate, by using the right realtor to do the work for you, you save a lot of time and energy right from the start! Not every realtor has the time or experience to give you the type of service we have to offer you, we work as a team so we have much more time to give you the personalized service you deserve! In addition, we have 21 years of experience between the two of us and we’re ready to use what we’ve learned over the years to benefit you. Fargo City Guide has an accurate list of ALL homes for sale updated daily.